In 25 years of independence Ukraine has been unable to change labor legislation in any significant way. The current Labor Code was adopted on 10 December 1971, with the adoption of a new one getting postponed time and again. So in the meantime labor law must advance one change at a time. It is an important issue for any company to be able to shuffle top management. It matters both to business owners that determine a company’s business strategy, as well as to executive managers that seek self-fulfillment. And while a manager, as an employee, can simply choose to resign voluntarily, a mere desire was not enough for employers to dismiss a manager at any time. To do this, they required a valid reason, expressly provided by the law. On 13 May 2014 Parliament adopted the Law of Ukraine On Amendments to Several Legislative Acts of Ukraine Regarding the Protection of Rights of Investors, adding section 5 to Article 41 of the Labor Code which provided new grounds for terminating labor contracts — termination of office for officers. Such dismissal is allowed at any time with no justification required and with severance pay of at least six monthly salaries for the dismissed person. This option makes it easier to dismiss hired administrators and key managers, since before this process was as tricky as with any other employee. Employers used to be able to fire an officer only on the grounds established by law or a contract. The Act brought about a new kind of labor dispute concerning reinstatement of officers dismissed on the grounds of section 5, Article 41 of the Labor Code. No consistent legal practice has been formed regarding those during the last two years due to the following reasons. Firstly, the Labor Code doesn’t clearly define which employees are considered “officers”. Secondly, the companies and organizations whose officers can be dismissed on the grounds of termination of office also remain unspecified. Aside from business entities and private companies, there are still a considerable number of public and municipal enterprises in Ukraine whose directors are no different from the administrators of business entities. After analyzing legal precedents and interpretations of certain public authorities, we can draw a couple of conclusions on the practical applications of section 5, Article 41 of the Labor Code. First of all, let us define the circle of officers that can be dismissed on the pretext of termination of office. In accordance with Part 1, Article 89 of the Commercial Code of Ukraine, a business entity is governed by its bodies and officers, whose membership and election or appointment procedures are determined based on the type of business entity that it is. According to part 2, Article 23 of the Law of Ukraine On Business Entities, officers of a business entity are individuals — the head and members of the executive body and audit committee, the internal auditor, as well as the head and members of other bodies in charge of the business entity, as long as such bodies are permitted by the entity’s constituent documents. 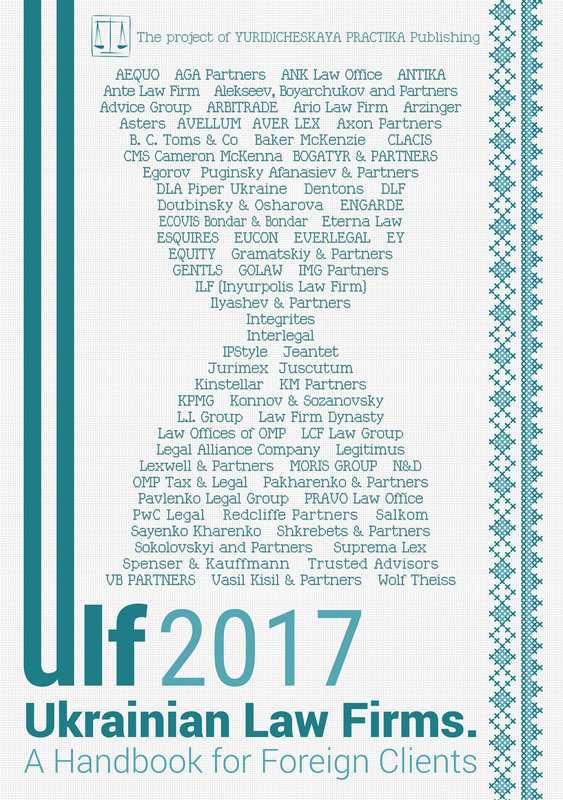 A similar norm is provided for by section 15, part 1, Article 2 of the Law of Ukraine On Joint-Stock Companies. In missive No. 1332-0-26-13/11 of 22 February 2013 the Ministry of Justice of Ukraine points out that in order to define the concept of officers, we must take into account the legal practice, which cites organization and management duties as the main criteria of an officer. The State Labor Inspection of Ukraine in its clarification The Category of Officers in Labor Law of 24 July 2014 states that labor legislation has no concept of officers. Therefore, this category can include not only managers of business entities, but also state and municipal officials, administrators of state, municipal and private companies, institutions and organizations, their deputies, department heads and their deputies, as well as persons managing individual areas of work. An officer wields a certain degree of administrative authority and can make legal decisions, for instance, to hire and dismiss employees, take disciplinary actions, issue compulsory orders, etc. Since the law does not clearly define which companies have the right to use termination of office as grounds for dismissal, a number of legal precedents have arisen in the last two years. v serving as a cassation court, on several occasions supported the use of termination of office as grounds for the dismissal of officers working at business entities. Referring to both the spirit and the letter of the Law On Amendments to Several Legislative Acts of Ukraine Regarding the Protection of Rights of Investors, the courts note the impossibility of using Section 5, Article 41 of the Labor Code for officers of public and municipal institutions and enterprises that are not business entities. The next condition of the legality of such dismissal is observance of the proper procedure. The management body of a business entity must decide on the termination of office and subsequent dismissal (as a personnel decision), while the employee without fail receives severance pay. It is important to note that such dismissal is prohibited when the employee is on sick leave or vacation. In addition, labor contracts with pregnant women, mothers of children younger than 3 years old, single mothers with children younger than 14 or handicapped children cannot be terminated either. In practice, employers often choose to ignore their managers’ voluntary resignation applications. According to Article 38 of Labor Code, employees can resign if they notify their employer in writing two weeks in advance. However, sometimes business owners might not or would not hold a meeting to decide on the matter. As a result, the manager is unable to get another job and, what is more important, remains responsible to the state authorities for the company. This is essentially forced labor, which is forbidden by Article 43 of the Constitution of Ukraine. The problem can be solved with a lawsuit demanding termination of the labor contract. In accordance with Article 38 of the Labor Code, the employee must first submit a written notice on voluntary resignation to the employer and await a reply for 14 calendar days. If the employer doesn’t come to a decision during that time, the matter can be taken to court. If the court rules in favor of the employee, the ruling will affirm the cessation of labor relations. The court will also terminate the labor contract, which will allow the employee to legally look for a new job. Another thing to note — the court decision on terminating the labor contract with the employer is insufficient ground for the State Registrar to register the change in the company’s management in the Unified State Register of Legal Entities, Individual Entrepreneurs and Public Associations. According to Article 25 of the Law of Ukraine On State Registration of Legal Entities, Individual Entrepreneurs and Public Associations, the former manager must present the suit to the State Registrar with a request to enter the change of management in the Unified State Register. Since managers often encounter similar problems when quitting, it would be easy to rectify the situation with a change to the Law of Ukraine On State Registration of Legal Entities, Individual Entrepreneurs and Public Associations that would make the court decision on terminating the labor contract sufficient for removing the entry regarding the former manager from the Unified State Register.